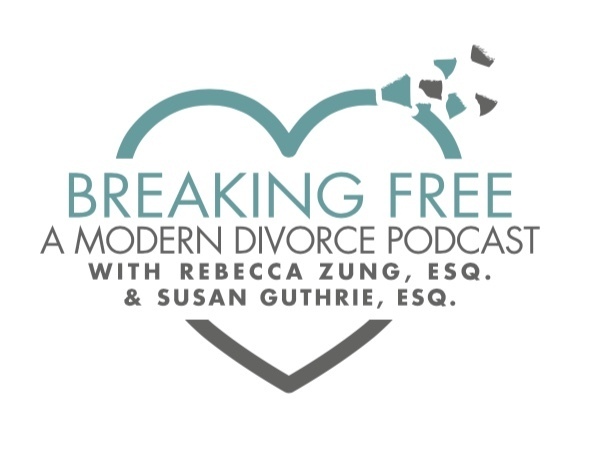 A fresh inspirational podcast for anyone contemplating divorce, going through divorce, or healing from divorce with Rebecca Zung, Esq. and Susan Guthrie, Esq. top divorce attorneys in the United States. Rebecca Zung, Esq. and Susan Guthrie, Esq. talk with Arielle Lorre, the creator of the Lifestyle Brand, The Blonde Files, about her journey from the depths of addiction to her current happy and healthy life. Arielle Lorre is the beautiful and vibrant creator of the successful lifestyle brand, The Blonde Files, with a popular cookbook "The Blonde Files: Eats", a podcast in the works and hundreds of thousands of followers on Instagram (#theblondefiless), but just five short years ago, Arielle nearly died from her addictions to alcohol and drugs. Isolated, alone and unable to reach out for help, Arielle found a path to recovery through wellness and transcendental meditation and rose up to make a new life following her passion to share her struggles and journey with others who are suffering. Today, Arielle's life reads like a fairy tale. She is newly married to legendary Hollywood producer, Chuck Lorre, and her brand and platform are expanding daily and allowing her to reach and help others around the world! If you find yourself in despair due to divorce, a break-up or for any other reason, Arielle's story will inspire you and give you the one thing you need - HOPE! Listen today! For more information on Arielle and The Blonde Files visit her website at www.theblondefiles.com, follow her on Instagram #theblondefiless, and her cookbook (which is amazing!) can be found at www.theblondefiles.com/the-blonde-files-cookcook. FAYR Co-Parenting App - For more information on the co-parenting app FAYR created by Michael Daniels listen to Episode #123 "The Insider's Secret to Seamless Co-Parenting" and visit FAYR.com. Copyright 2018 Rebecca Zung, All rights reserved.